Teenage amateur sleuth Kindaichi Hajime, grandson of detective Kindaichi Kosuke, works alongside another teen detective, Edward Columbo, the nephew of a noted Los Angeles homicide detective. Kindaichi Kosuke appeared in a series of novels by Seishi Yokozimo. Edward Columbo is meant to be the nephew of Lt. Columbo from the television series Columbo; since the Lieutenant is in the CU, so are the Kindaichis. 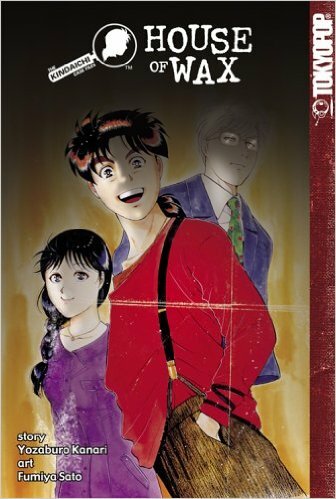 It always seemed weird to me that Detective Conan was more popular than this series. I kinda like Detective Conan, but this series was so much better. Only one of Seishi Yokomizo's Kindaichi Kosuke novels has been been translated to English (to my knowledge) The Inugami Clan. It interestingly enough mentioned Sherlock Holmes. In the second volume of Crossovers; Win included an episode of Lupin where the thief encountered a parody of Kosuke (along with a descendant of Sherlock Holmes and a parody of Philip Marlowe.) He also included one where Lupin vies with Columbo's son.